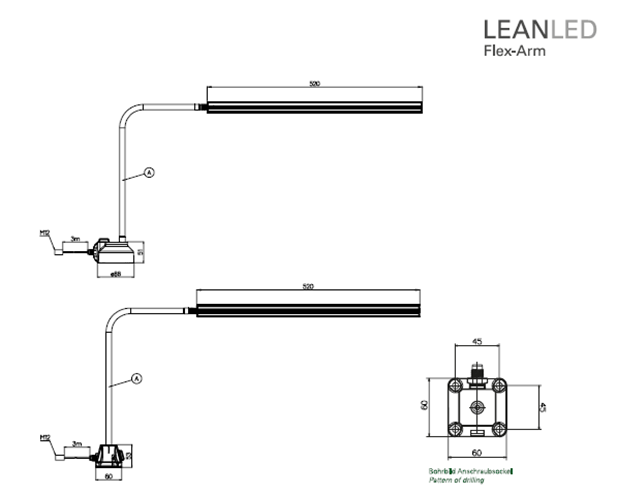 The LEANLED flex arm is ideally suited for handwork stations in quality control or in assembly, since, thanks to its movable neck, it can always be brought into the required position for each product to be worked on. 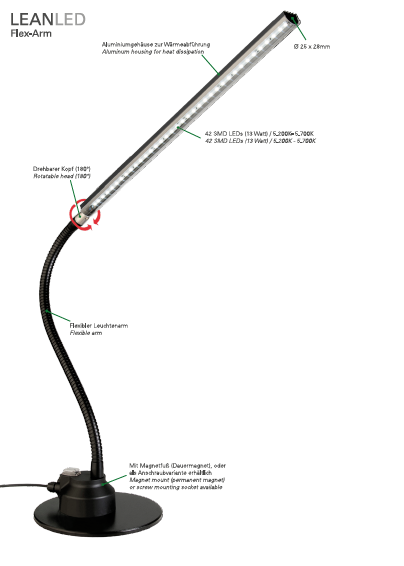 With the latest SMD LED technology as well as a milky cover, the LEANLED flex arm produces completely even as well as flicker and glare-free illumination without casting shadows. The LEDs are protected against dust and splash water by a plastic cover.